The Hill College Arts & Humanities Dean Nancy McKenzie is being named the 2019 Distinguished Alumni at Tarrant County College (TCC) Northeast Campus. She will be recognized by Dr. Tahita Fulkerson, TCC Northeast Campus interim president, at a recognition ceremony/breakfast in the Larry J. Darlage Center Corner in the Student Center Building Friday, April 26, 2019. McKenzie will receive a certificate that will be presented during the awards ceremony. McKenzie attended the TCC Northeast campus from 1994-1996. There she was provided an excellent foundation of higher education teaching and learning that shaped her educational and professional pathway. She transferred to Texas Wesleyan University earning a Bachelor of Arts in Human Learning and Development in 1998 and a Master’s degree of Education in 2004. Prior to coming to Hill College, she worked as an elementary teacher for six years in the Hurst-Euless-Bedford school district and two years in the Irving school district. 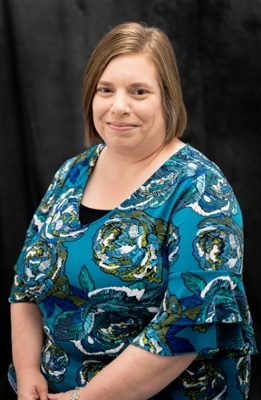 She began working at the community college level and taught at TCC South Campus in the Academic Foundations department for eight years. She taught Developmental English, Reading, and INRW courses along with the student success courses. She served as the department chair as well as the Speech and Foreign Languages chair for five and a half years. For the last five years, she has worked at Hill College as the Dean of Instruction for Arts and Humanities. “The honor of being named as one of the distinguished alumni is particularly meaningful this year because my father was part of the original faculty 50 years ago. This campus is celebrating the 50th year of its existence as part of the TCC college network and I feel like I grew up there since both of my parents taught for TCC NE. Both retired from full-time teaching in 2002. They instilled the value of a community college education in my life and I hope to continue that sharing of values at Hill College,” said McKenzie. TCC Northeast has been recognizing graduates who have made a difference in the community for 16 years. A faculty committee solicits names of outstanding former students who have graduated at least five years ago or students who attended for a substantial portion of their college course work, who transferred to another institution to finish a degree. Each discipline chooses one person to be recognized at the spring awards ceremony. Hill College Dean of Arts and Humanities Nancy McKenzie named 2019 Tarrant County College Northeast Campus Distinguished Alumni.